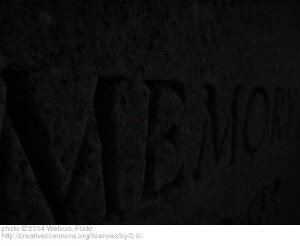 This Saturday, I listened to a fascinating hour of Radiolab, where they explored the concept of memory. In it, they discussed how memories are made – through the building of new proteins – and explained that because memory is a physical act, each time we remember we actually overwrite or build onto the original memory. Thus, our memories change the more we remember them. It strikes me that this is very true for me as a writer. To write about something, I have to call it to my conscious mind very deliberately, and the process of calling it forth – particularly with the aim to write about it – does make that memory different for me than, say, something that just comes to mind without effort. There’s a different quality to memories that I want to write about – already by bringing them to my conscious mind for that purpose I am laying a significance over them that they may not have had before. This show also got me thinking about the way memory is based entirely in perspective – my perspective specifically. I cannot know how any other person saw the events I’m recalling, but I also can’t know my own pure perspective of those events as I saw them at the time they happened. Instead, I can only recall them as I am now – days, weeks, years later. I don’t think this state is a bad thing for writers – after all, we write from who we are at the moment, not who we were when we were ten or who we will be in twenty years. For me, the key is just to be aware of this perspective – based in space and time – and write from there, not some fictitious, pristine, inalterable memory. For example, as I work on my book You Will Not Be Forgotten, I am very aware that my very memories of this place where I live are now changing because of what I am learning. I cannot look back at the time we moved here – before I full understood that this was a former slave plantation – and see these beautiful hills and vast fields without my researched memories of the people who were enslaved here. Even those first memories from when I was just 14 are shaped by what I am learning now, every day. I suppose there is a little sadness in this – a loss of innocence, maybe. But in fact, I find all of this very freeing. I’m left to recall my memories as best I can, remembering in the process that the very act of RE-membering changes those events and, thus, changes me. I’m not stuck where I was a year ago or ten years ago. I have moved forward, just as the words move across the page as I form them. 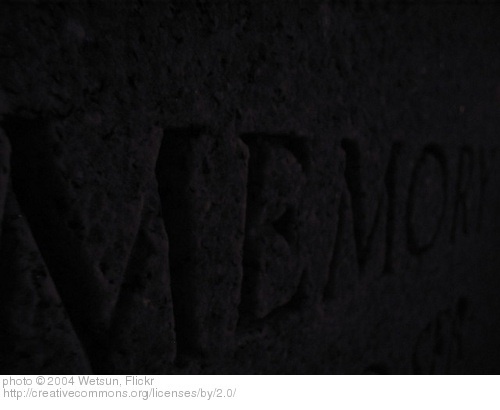 What is your concept of memory? What role does memory play in your work? What do you make of this conception of re-membering as building something new?